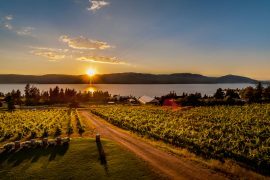 Welcome to Say Hi to Okanagan Tours. 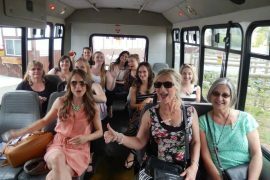 Enjoy a relaxing day with your mom or wife as we have two wonderful wine tour events to spoil her on Mothers day weekend. We will celebrate with bubbles then the ladies will receive a rose to say thank you for being a mom. We have chosen 3 wineries for your tasting pleasure. After that we will return you home with your new favorite bottle or two of wine. With Us It Is All About You!!! Mothers Day special. A memorable 3 hour wine tour and then taken to Olympia Greek Taverna, our partners, to be spoiled for dinner. After that a scenic safe ride home with stories to tell. Along your wine route we will celebrate with bubbles and a rose for the ladies. Stay tune to a special give away with Beach radio. 2-7pm $140 p.p. with dinner.